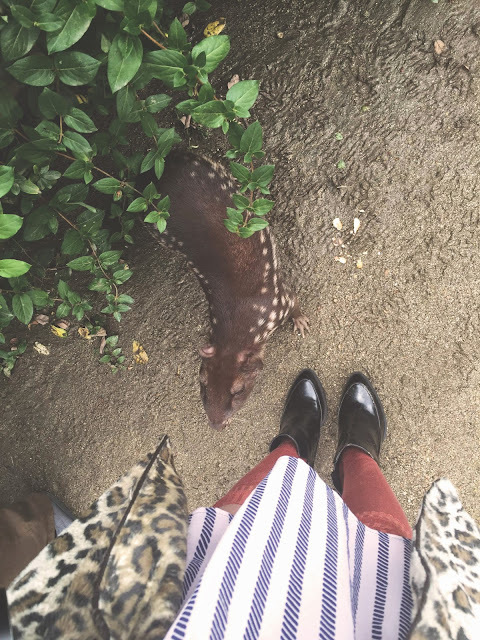 Nurtured by Nature, My day with Otters, Sloths, Kangaroos, Armadillos and more! 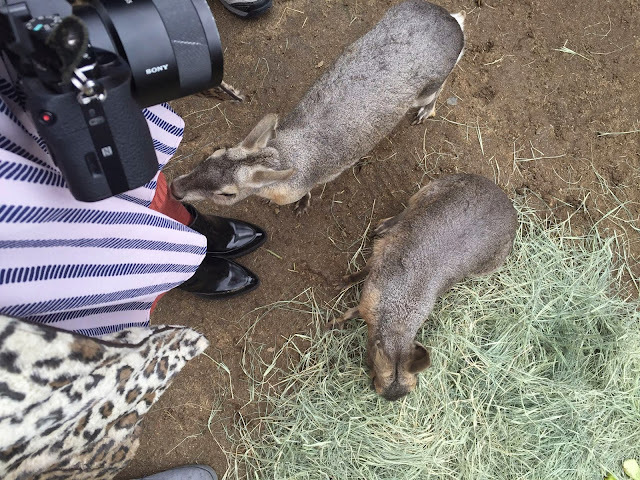 Today Ben and I had the pleasure of going to the amazing Nurtured by Nature about 100 miles out from Los Angeles! 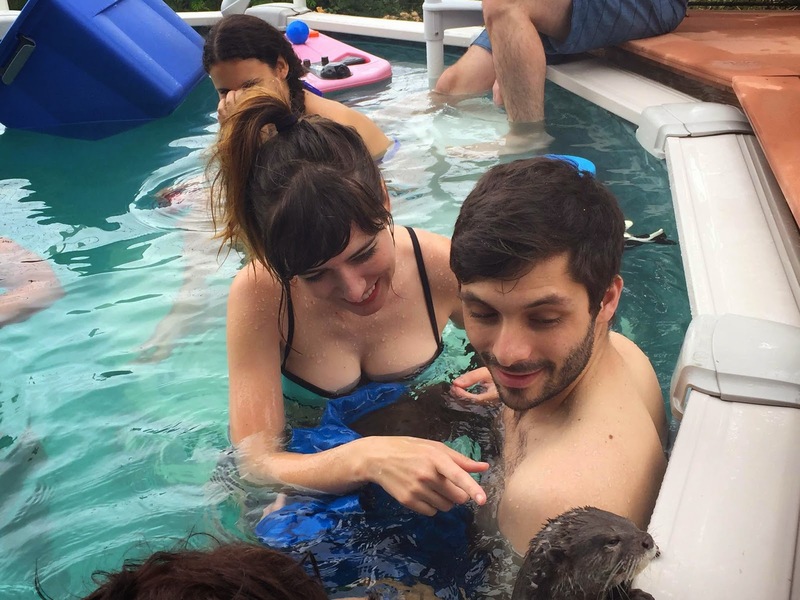 We went up last night and stayed in a hotel near by and woke up in the morning to swim with some otters! This place is MAGIC, I am not even kidding you, I want to live there. 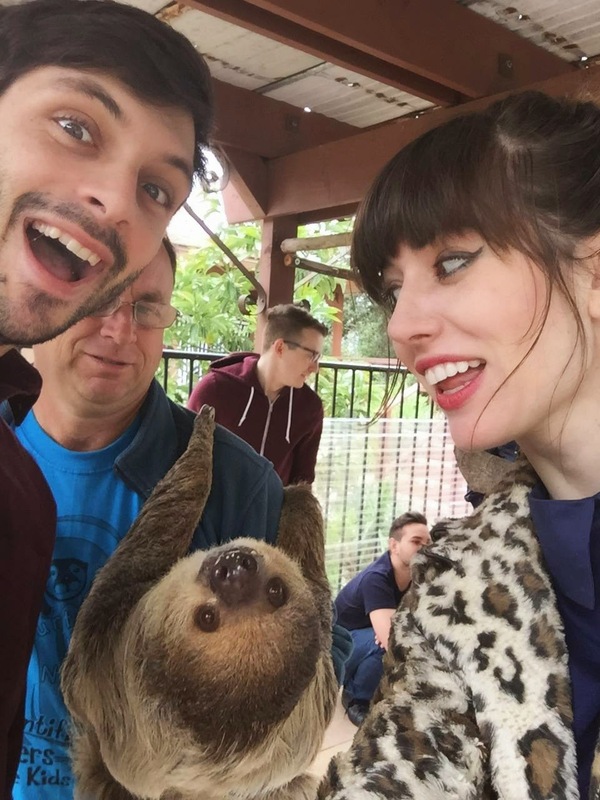 When you get there they show you all around the place and you get to meet many unique animals. Ben was flipping out, I got him this as a birthday gift back in January and we finally could go! Ben's favorite animal is the Kangaroo which we got to actually meet and feed! 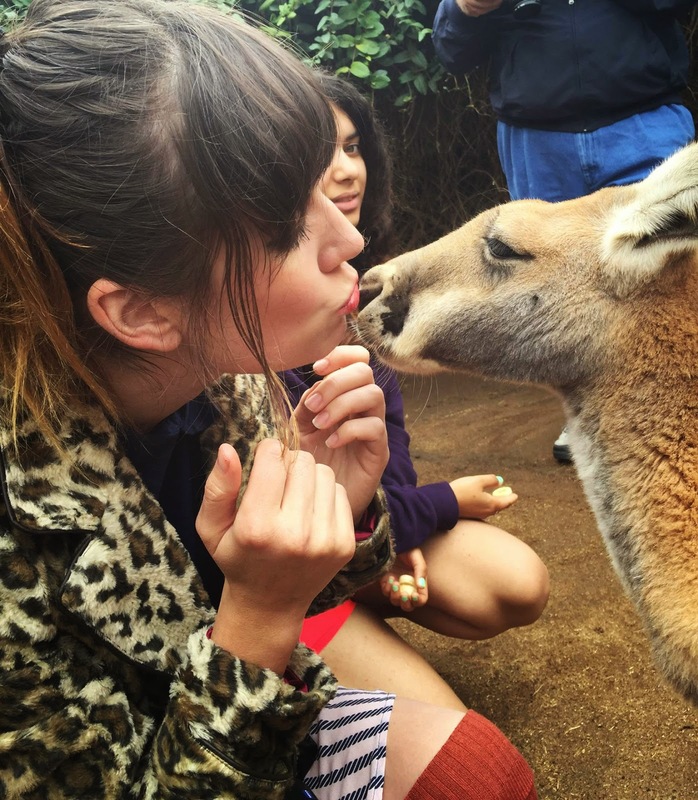 I kissed the Kangaroo on the lips, see photos above! 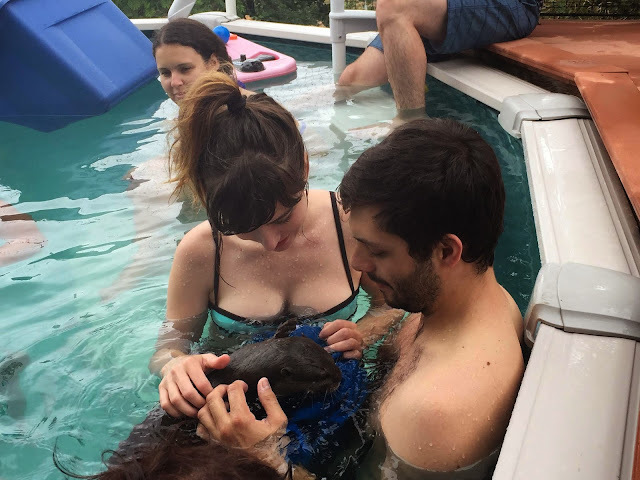 After we got to see all the animals around the area we then got to swim with otters!!!!!!!!!! This was MAGICAL, I was flipping out. These otters are incredible, they are so hyper and fun. We had toys for them to play with and we even got a t shirt in the water for them to climb all over. When I put on the loose shirt they kept climbing inside of it and cuddling me! I snuck a direct kiss with one and it touched my face with its' paw when we kissed and I melted. The married couple Kevin and Wendy who run Nurture by Nature are the most amazing people ever, so loving and so patient. This was by far the most incredible thing I have done in a while. I suggest EVERYONE go to this, they are booked up so hurry and make your reservations ASAP. The second I get more money I will be donating to them all the time, me and Ben both agreed! I also can't wait to go back again, I would love to take my parents and my brother! What a dream!!!! Nurtured by Nature is a 501c3 nonprofit organization that was formed by husband and wife team, Kevin & Wendy Yates, in Valley Center, CA after Southern California wildfires destroyed their home and surrounding area in 2003. After experiencing love, goodwill, and unconditional outreach and support from the entire community to help rebuild their home, they wanted to give back to the same community that gave so much! Kevin & Wendy's appreciation for family, community, and the natural world, has fostered the idea of Nurtured by Nature - to provide solace in times of misfortune or trouble. 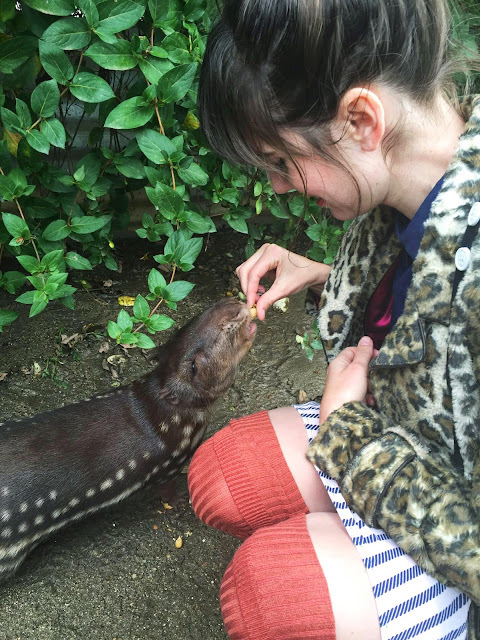 Our programs provide a once in a lifetime experience to children in need through individual animal encounters at our facility. Guests get to touch and feed a two-toed sloth, an African crested porcupine, several kinds of armadillos, a kangaroo, an African ground hornbill, hedgehogs, and horses. 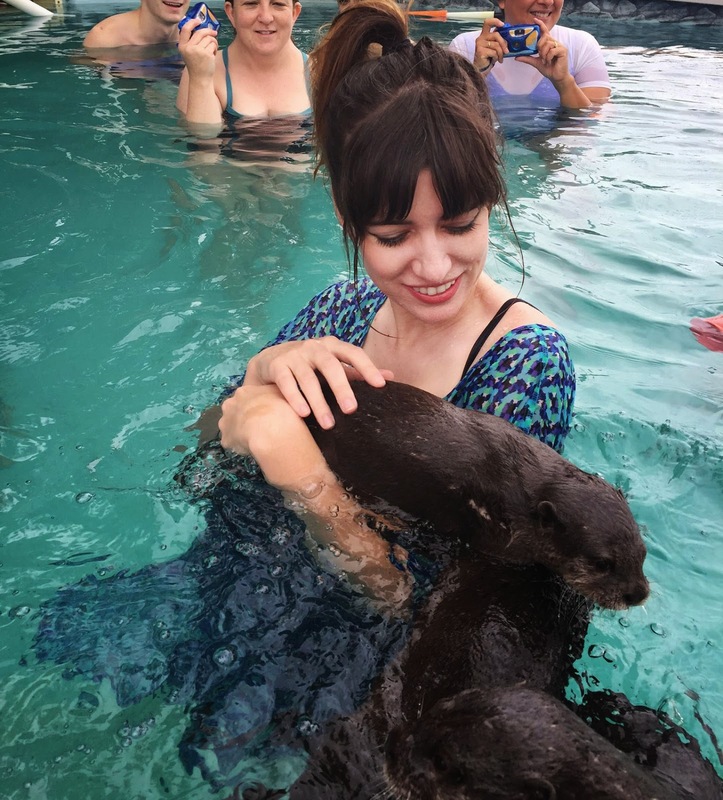 The highlight of our program is interacting with our Asian small-clawed otters. 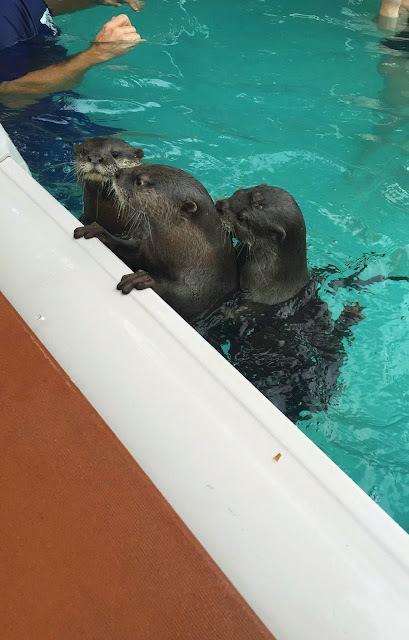 Weather permitting, visitors are able to swim & play with the otters. We also take the opportunity to teach the kids about each animal, its habitat, and how human behavior affects the natural world. Foster hope and well-being to children with life threatening to terminal illness through physical interactions with nature. but i don't know about something similar here in germany. not really. not so close to so exotic animals!